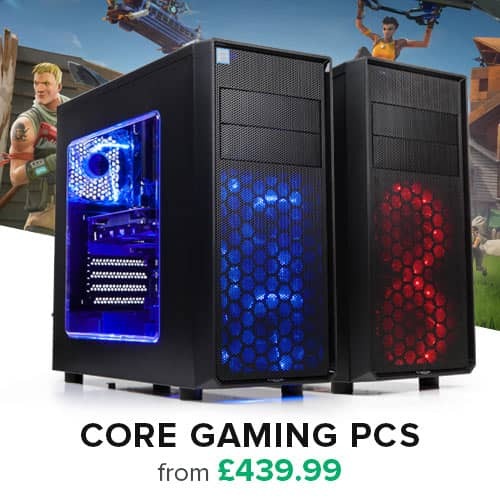 Dual Core Technology, 2.9GHz clock speed, 2MB L3 Cache, Dual Channel DDR4/DDR3L Controller, 14nm, Integrated HD 610 Graphics, 3yr Warranty. The new Intel® Celeron® processors provide you a reliable PC solution that can handle all of your everyday computing needs. With the capabilities of Intel’s newest microarchitecture and 14nm process technology, new Intel Celeron processor-based PC offers solid performance to run applications such as web browsing, HD video steaming and productivity software simultaneously and efficiently. PCs based on the new Intel Celeron processors are well suited to the home and office. With improved performance and power efficiency, PCs based on the new Intel Celeron processors are an excellent choice for small businesses and education. The new Intel Celeron processors offer great performance that end users can experience and appreciate. With the power and features of the new Intel® 200 Series chipset, this platform provides more high bandwidth I/O interfaces with increased flexibility, including support for the latest DDR4 memory technology and premium 4K content. Intel® HD Graphics makes casual game play snappy, enables smooth video streaming for all your online entertainment, and gives you enhanced video chatting for more personal online interactions with friends and family. 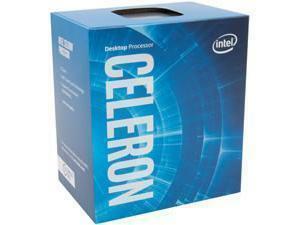 The new Intel Celeron processors are also compatible with both Intel® 100 series and 200 series motherboards. Protection capabilities in Intel Celeron processors are built from the ground up to give you a device you can trust. Every time you start it up, secure boot with Intel® Platform Trust Technology (Intel® PTT) helps keep your device safe, blocking dangerous programs, so only trusted software is launched. You get peace of mind with a more secure operating environment. Help secure all your data easily with Advanced Encryption Standard (AES) new instructions built into the processor. You get strong security without compromising performance or impacting your experience. Intel® Device Protection Technology with BIOS Guard 2.0 and Intel® Device Protection Technology with Boot Guard help protect your system during boot. Features Intel® HD Graphics Play HD videos with exceptional clarity, view and edit even the smallest details of photos, and play today’s modern games. The shared cache is dynamically allocated to each processor core, based on workload. Significantly reduces latency and improves performance. A fast AES engine providing security for a variety of encryption apps, including whole disk encryption, file storage encryption, conditional access of HD content, internet security, and VoIP. Consumers benefit from protected internet and email content, plus fast, responsive disk encryption. Intel® Power Optimizer increases periods of silicon sleep state across the platform ingredients, including the CPU, chipset, and third-party system components, to reduce power. Intel BIOS Guard is an augmentation of existing chipset-based BIOS flash protection capabilities targeted to address the increasing malware threat to BIOS flash storage. It helps protect the BIOS flash by preventing modification without platform manufacturer authorization, helps defend the platform against low-level DOS (denial of service) attacks, and restores BIOS to a known good state after an attack. • Measured Boot: measures the initial boot block into the platform storage device such as trusted platform module (TPM) or Intel® Platform Trust Technology (PTT). A hardware-based security feature that protects the OS (operating system) kernel. OS Guard helps prevent use of malicious data or attack code located in areas of memory marked as user mode pages from taking over or compromising the OS kernel. OS Guard is not application-specific and protects the kernel from any type of application. A trusted element of the platform execution that provides enhanced security by verifying the boot portion of the boot sequence. Protect your one-time-password (OTP) credentials and PKI certificates and add a layer of encrypted second factor authentication for online transactions. Log into your system or make secure credit card purchases on your system using near-field communication (NFC)–enabled cards.